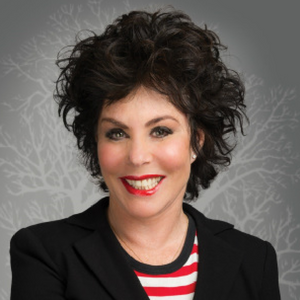 After arriving in Britain from the United States in 1977 and training as an actress, Ruby Wax began her career with the Royal Shakespeare Company. She went on to a hugely successful career with BBC television as an interviewer and comedian, and has written, and edited numerous scripts for TV and film including Absolutely Fabulous. Ruby then turned her attention to the study of psychotherapy and neuroscience, graduating from Oxford University in 2013 with a Master’s degree in Mindfulness Based Cognitive Therapy. She is also an Alumna and Honorary Senior Fellow of Regent’s University London’s with an MA in Psychotherapy and Counselling, and a is Visiting Professor in the School of Mental Health Nursing at the University of Surrey as well as holding an Honorary Doctorate from the School of Psychology from The University of East London. She is shortly to be awarded with a City Lit Lifetime Fellowship. She is the author of 2 best-selling books Sane New World and A Mindfulness Guide for the Frazzled which combine neuroscience, mindfulness and comedy. The hardback copy of A Mindfulness Guide for the Frazzled sold over 100,00 copies and is distributed in over 20 countries. Her one-woman shows Sane New World and Frazzled have toured both internationally and in London’s West End. She also founded Black Dog Tribe, a social networking site providing information and social support for people suffering with mental health issues. She presented her TedTalk at TedGlobal 2012 What’s So Funny about Mental Illness?, She speaks at Parliament and Downing Street to raise money for neuroscience research and works tirelessly to break the stigma. She is an ambassador for MIND and SANE charities and is on the board of the Anna Freud Centre for Children and Families. She is also President of Relate.